I was born in Munich, Germany and was brought up in the European Metropolis Brussels. After my O Levels, I returned to Germany for my studies and to start my professional career there. While visiting Dubai on one of my several trips from 2001 onwards, I was drawn to the Emirates international, multicultural and vibrant lifestyle. 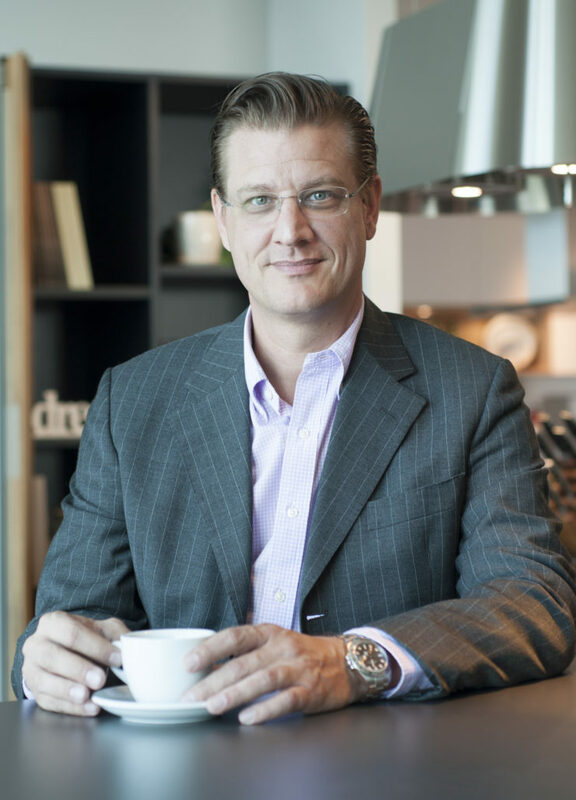 In 2003, I got the opportunity to run sales and operations at a German boutique trading company which was specialized in selling and installing high-end life-style products in the field of German kitchens, furniture, lighting and other home accessories. After the worldwide economical downturn in 2008, I saw how the market had changed and used it as a chance to take the entrepreneurial opportunity to set my own company in 2010. Shortly later, the brand GOETTLING INTERIORS has firmly established itself as a leading name in the region’s high-performance, quality interiors and lifestyle sector with a one-of-a-kind concept store at Ubora Towers in Business Bay and a dedicated team of skilled designers, project managers and trained installation teams. At Goettling we take pride in our projects, take time in getting to know our customers and their needs better in order to offer a personalized solution with authentic customer service. Our real success is the bond with our clients who by the end of their projects become Brand Ambassadors. Our work gets referred because we are honest, straightforward and go the extra mile to ensure our clients are satisfied.